7 Beautiful Wedding Photo Booth Backdrop Ideas for Your Big Day! 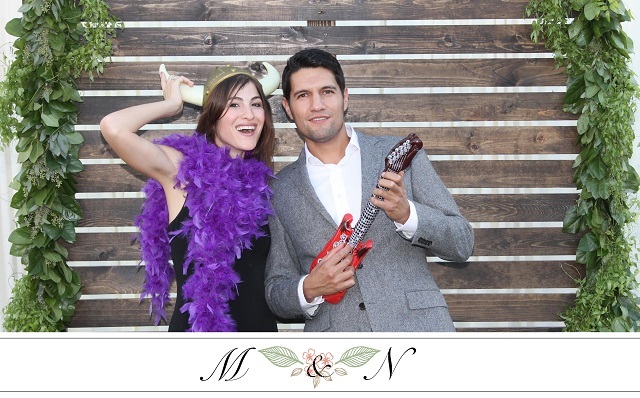 Take it from us— a wedding photo booth rental isn’t complete without a fun backdrop! 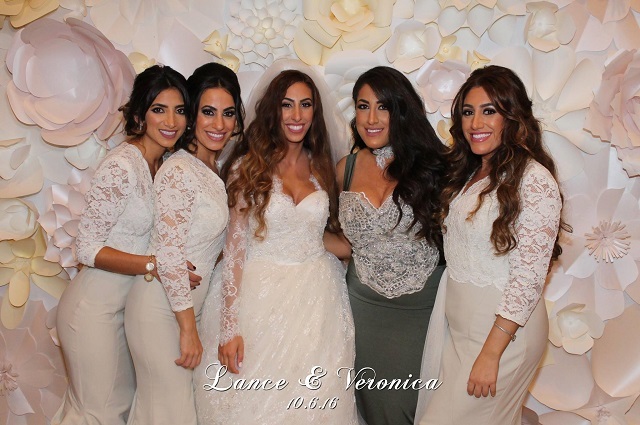 Aside from adding more visual interest to your photos, your wedding photo booth backdrop complements your wedding décor and lets you express your creative side. If you’re unsure of where to start, don’t worry; we’re here to help! Check out our list of photo booth backdrop ideas perfect for any wedding reception! Whether you’re getting married in the winter or late spring, paper flowers will always be in season. A paper flower wall is the perfect backdrop for your photo booth pictures and adds a truly romantic touch to your wedding! And because of their versatility, there are so many more uses for paper flowers other than photo booth backdrops. Check out these 6 ideas for using paper flower decorations at weddings too. A wedding photo booth backdrop made entirely out of balloons is a quick, easy, and affordable way to make your photo booth pictures pop! (No pun intended, of course.) Just like paper flowers, balloons are very versatile, giving you more options when deciding on a design. They also make the perfect favor for little ones at the end of the evening! Bring in a playful, feminine element to your photos by creating a wedding photo booth backdrop entirely out of tassels. If you want to keep it more subtle, simply use the tassels to accentuate your main backdrop. 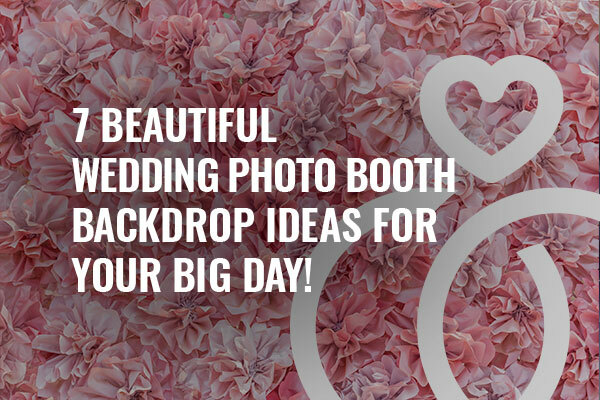 Either way, you’ll have the prettiest photo booth pictures around! Looking for something different? Bring in a bit of variety and have tons of fun with green screen backgrounds! We also newly released TapSnap Moves, our animated green screen backgrounds, to truly bring your photos to life. You can swap out backgrounds to customize each and every photo, adding that extra layer of entertainment your guests absolutely will love. Add some texture and color to your photo booth pictures with paper pinwheels as your backdrop! They come in all shapes, sizes, patterns, and colors and are relatively inexpensive which makes DIY projects a breeze. If you’re feeling extra fancy, opt for parasols instead! Bring in an organic dimension to your décor and photos with a wedding photo booth backdrop that incorporates some foliage. Whether you opt for a hedge or hanging garlands, it will offer a subtle contrast for photos which will make you and your guests stand out even more! A chalkboard isn’t just for the classroom—it can also double as a backdrop for your wedding photo booth rental. Think about it. It’s the perfect blank canvas! What’s more is that you also have the option to add in more elements like paper flowers or pinwheels for more vibrancy.While there are plenty more photo booth backdrop ideas, these are a few of our favorites. Have more ideas? Let us know in the comments below! Unsure of how to pick the right photo booth for your big day? 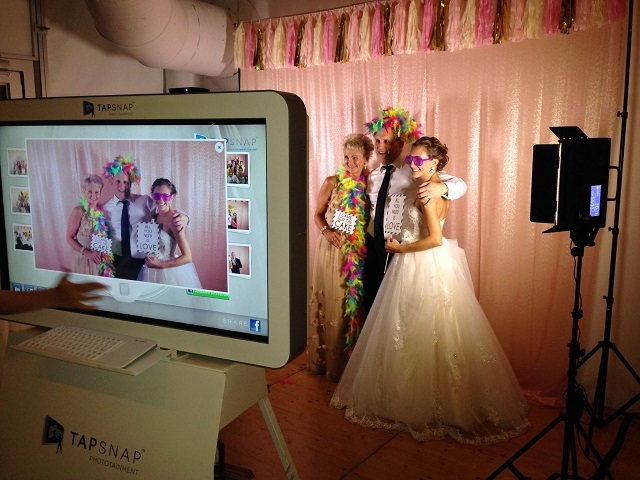 Here’s what to look for when renting a photo booth! 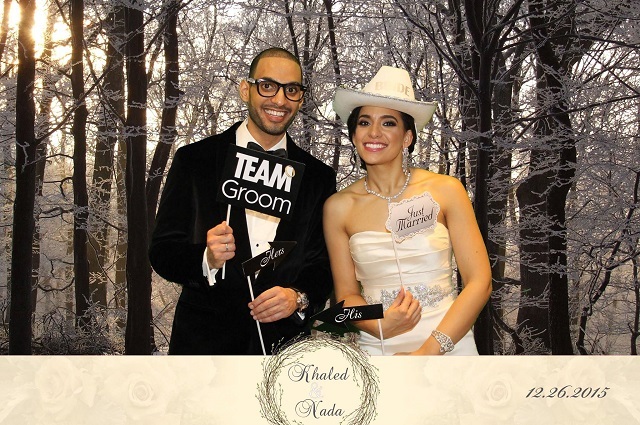 If you’d like to learn more about our custom wedding photo booth packages, don’t hesitate to contact us.